Learn why some training programs work and others fail. What Makes Safety Training Effective? Although Canadian workers complete millions of hours of safety training each year, deaths continue to occur in the workplace. In fact, between 2011 and 2012, workplace deaths in Canada increased from 919 to 977. This represents almost 3 deaths each day. With such a large investment of time and money being made in safety training, shouldn’t workplace deaths be decreasing? While it is important to ensure that safety training is provided, it must be delivered effectively for the training to make a difference. If not, learners will not assimilate the information and their training will be rendered useless. 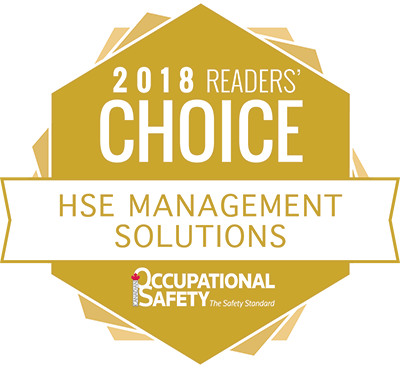 Accordingly, we have dedicated this issue of The SafetyNET magazine to providing strategies that organizations can use to make their safety training more effective. Our feature article (p.24) presents do’s and don’ts, as well as strategies for improving the delivery and outcome of safety training programs. 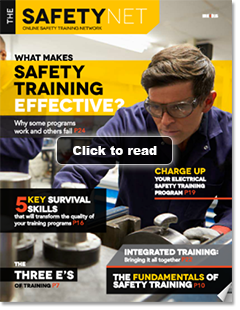 In this issue we also describe the fundamental aspects of safety training (p.10) and techniques that you can use to elevate the quality of your electrical safety training program (p.19). If you are looking for ideas on new and innovation training techniques, read what Safety Canada is doing to take training to a new level (p.22). If it is tips that you are looking for, read how the three E’s of training (p.7) and some key survival skills can be used to transform the quality of your training programs (p.16).